Your parenting career begins with a completely dependent baby, who has no say over the decisions you make for him or her. 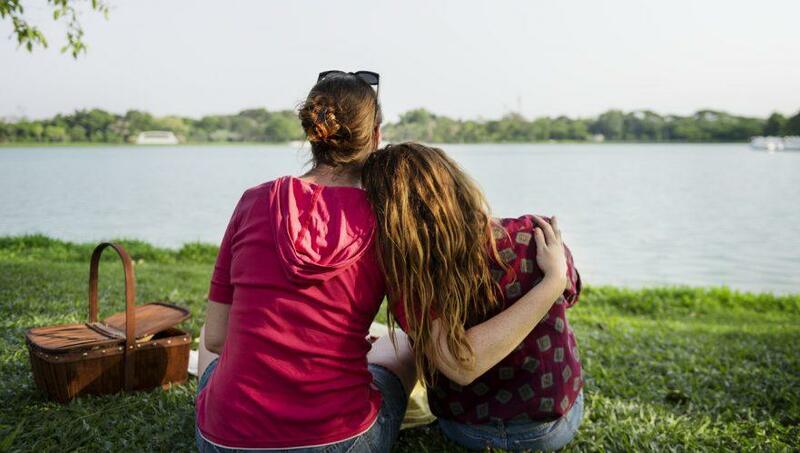 By the time adolescence rolls around, you will have experienced a significant shift in your relationship with your child that for many parents evokes a sense of loss. Teenagers’ assertiveness can look like defiance, their non-compliance can feel like a personal affront and their insistence can be experienced as a full on revolt. Parents of teenagers are, in a sense, losing their KIDS. Adolescent children are immersed in their job of growing up and separating from you. And as tricky as it can be to navigate, it’s your job to let them. After ideally establishing a foundation of communication, trust, and security during early childhood, parents can maintain influence and guidance over teenagers, continuing to equip them with what they need to effectively launch into adulthood. Open lines of communication will support teens (and parents) through the transitional period of adolescence. Unless there is an urgent situation, try to keep conversations non-confrontational. Instead of point blank questions about drug use or sexual activity, have family discussions about news stories, changes in laws (legalization of marijuana), and school policies about handing out condoms, for example, and refrain from automatically shutting down comments from your teens, no matter how cringeworthy. You can still educate them (i.e. how marijuana can negatively impact brain development or how alcohol and drug use compromises judgment), while allowing their input into the conversations. Make it the norm to eat meals together, do chores/tasks as a team, engage with them about school projects, offer rides instead of allowing Lyft drivers VIP access to their social lives, have family rituals like special dinners or movie nights, and plan family trips with destinations that interest them (could even be an outing to a restaurant that serves their favorite foods). Don’t make it a habit to cross boundaries. It’s a violation that could rupture trust; something that is needed for that strong foundation you want them to have as they embark on their journey into adulthood. Maintaining rules with consistency is important, as is following up on transgressions. “What do you think got in the way of studying for the test?” It’s not only an opportunity for learning, but a way to promote security as you show them that THEY are accepted by you even if their BEHAVIORS are not. The teenage years do not need to be fraught with screaming fights, chronic friction or exaggerated rebellion. Realize your teen will be spending more time away from you, sharing less detail with you and expressing their identities in a variety of ways. These shifts can actually mean they’re on the right track of the separation/individuation process that will lead to a successful transition to adulthood. The Mother Company is on a mission to Help Parents Raise Good People. We do this with our children’s Emmy-winning television series, Ruby’s Studio, a series of preschool and early educational picture books, free teacher guides, music and more, all about social and emotional learning, and with TellStella, a digital service that connects parents to parenting experts via text and talk for one-on-one support and guidance around all parenting topics.